When was the last time you visited your favorite restaurant during lunch and found yourself asking the bartender to plug you in or awkwardly leaning over tables searching for that concealed power outlet? You might even choose your next dining place according to your knowledge of how easy it will be to boost up your smartphone power. Technology is everywhere these days. We are all walking around with a computer in our pocket, and no doubt smartphones are here to stay. We have come to expect these technological advancements everywhere we go. Even on our lunch break or during our dinner date with our life partner. Technology in restaurants and coffee shops has improved the customer’s experience in so many ways. The customer experience has become the biggest differentiator among companies in the digital age, impacting the restaurant business dramatically. The food quality isn’t enough anymore and restaurants need to step up their game in areas out of their comfort zone in order to stand out and ensure customers are coming in and enjoying the full experience they have to offer. Take a look at online ordering. The experience for both the customer and restaurant has become more comfortable and more efficient. The customer can take their time to review the menu, the bill is immediately updated, and the communication is documented minimizing chances for your large pepperoni pizza to be misplaced with a small mushroom pizza. From the restaurant side, ordering online frees the staff from long phone conversations and improves efficiency. Taking this to an even higher level are mobile apps. On top of a more user-friendly customer experience, restaurants can use apps to implement loyalty programs. Needless to say an app is much more attractive and engaging than the old-fashioned stamp card reward system. The tableside tablets are a new use of technology which is gaining momentum in restaurants. The tablets allow the customer to order and pay the bill without a waiter after browsing the digital menu. In addition, many restaurants provide games and fun activities in order to keep the customer’s distracted from the empty stomachs, children occupied from disturbing other tables and improving the experience altogether. Another way to improve the customer experience in your restaurant is to make sure your customers are relaxed and have the peace of mind to take a break from their busy day. 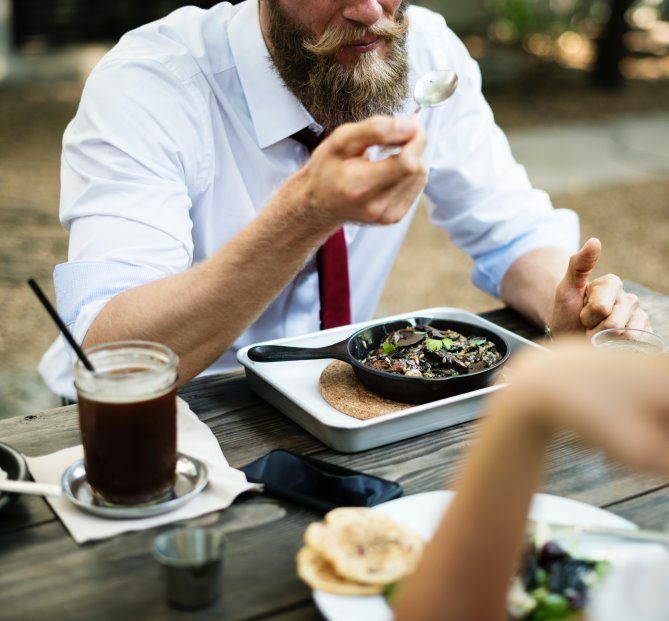 Many people rightfully consider dining time to be the break in their day, looking forward to clearing their minds, gaining social experiences and in general resting their mind from their demanding work, whether they are doctors on long shifts or a cashier at the supermarket. People are worried about their phones remaining out of power, they do not want to miss that next phone call or important meeting. Bringing the power to them in a convenient way, will have a great positive effect on their mood and day. A restaurant that will excel in doing so will create a very positive customer experience in their restaurant. Customers will be encouraged to recommend the place to their friends, will post and share on social media and will likely return to experience it all over again. Earlier this week, Powermat and loyaltyplant cooperated and presented at the NRA Show 2017 in Chicago, included everything you need to run a successful foodservice operation.